The more you explore these lands, the more you’ll want to experience… at which point, if you’re up for a day-trip, you’ll be in luck, as there are so many places located just a short day-trip away! One of my favorites can be reached by just a two hour drive, and that is Death Valley National Park. It’s one of the most unique places I’ve ever visited due to its striking, Martian-like landscape, and plethora of impressive lifeforms that somehow manage to exist. The fact that anything at all can survive in a place most people think of as a lifeless wasteland is something that blows my mind every time I think about it, including right now as I’m writing this. It gets hot in Death Valley. In fact, it’s one of the hottest places on the planet, with a whopping 134 degrees Fahrenheit being the highest temp ever recorded. That’s freakin’ hot. Yet, somehow, life exists there even then. How the “hell” (pardon the pun) is that even possible? 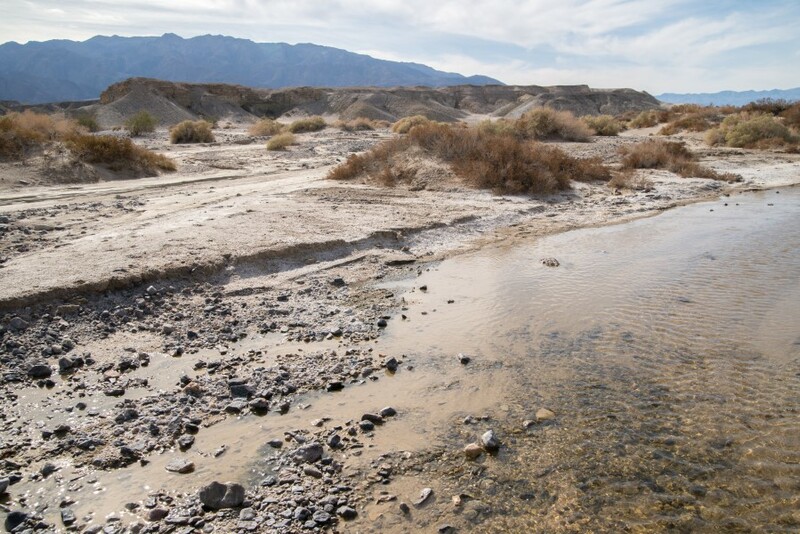 And then there’s the seasonal life that exists at Death Valley, including the flowers that bloom during the spring, some years more abundant than others; the birds that migrate through during the winter months; and the desert pupfish who can survive the extreme desert heat – and that’s just to name a few. 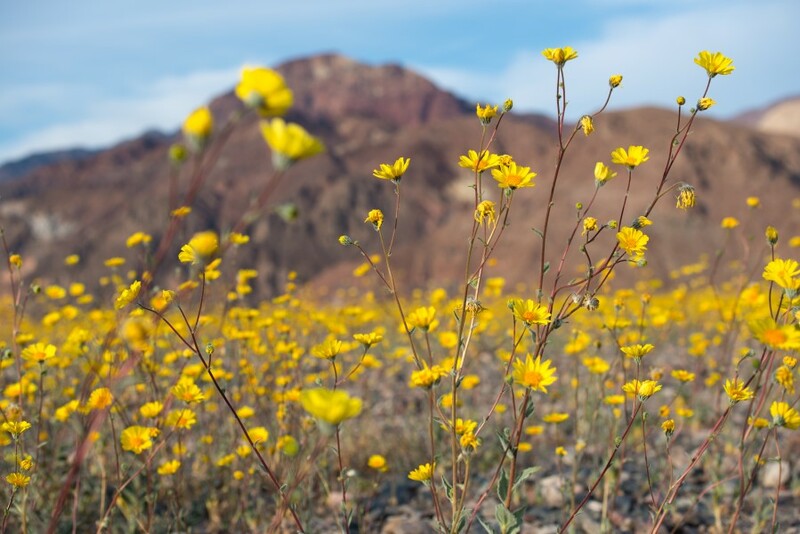 It was the rare “super bloom” that brought me and my boyfriend, Dave, out for our most recent visit to Death Valley. 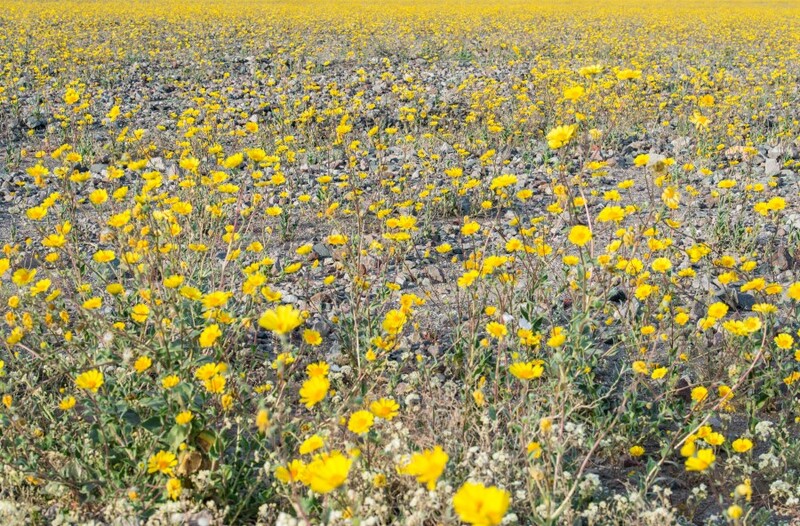 (The “super bloom” of wildflowers happens once every several years when the conditions are just right.) It was very beautiful, and something that I hope to experience again in my lifetime. 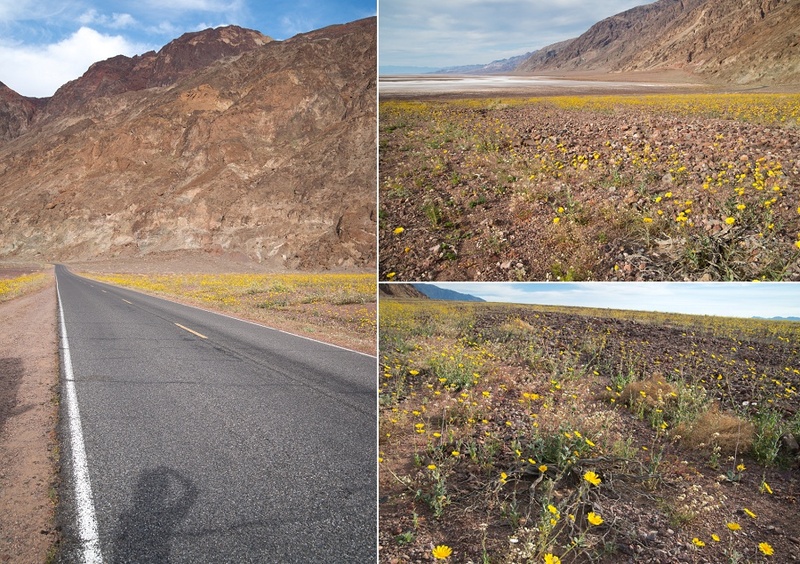 However, it wasn’t the super bloom that made our trip most memorable, but the desert pupfish of Death Valley… and I’m glad that I got to document that part of the trip. 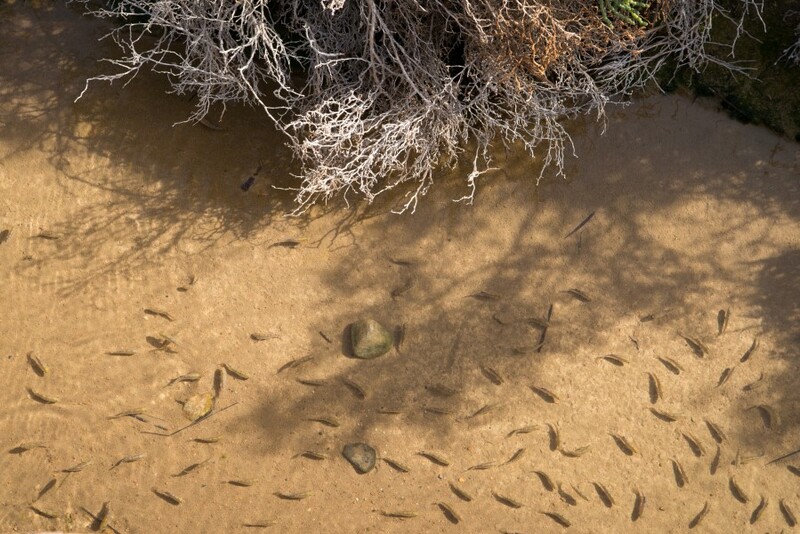 When Dave and I made our way to the pupfish habitat, we weren’t expecting much. In fact, I assumed that these little creatures would be barely visible to the naked eye. But looking down into the flowing streams around Salt Creek, there they were! Totally viewable and oh so cute! 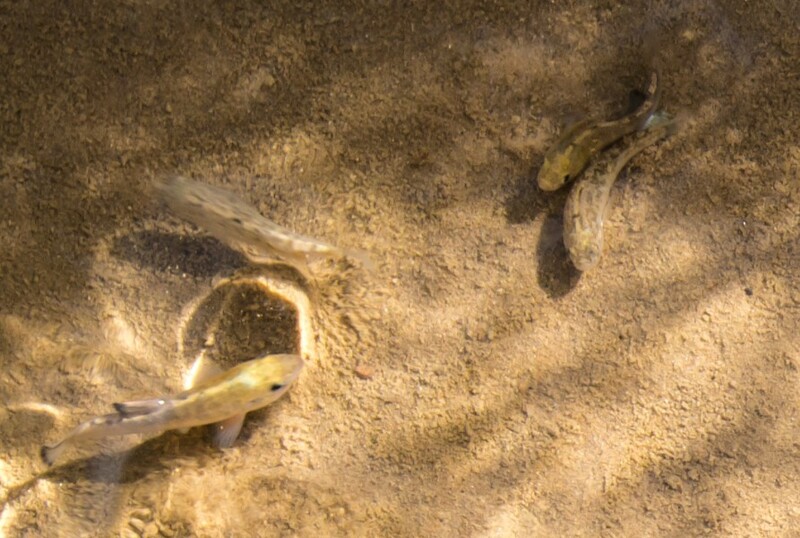 The Death Valley pupfish are a living example of just how special the desert is. I highly recommend you check them out next spring!